Kylie Kimlin is a busy mum of three little kids, living in a small town in the Mid North region of South Australia called Saddleworth. 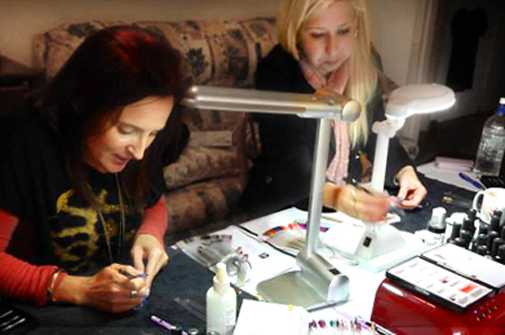 Her crowded schedule and remote location meant that Kylie’s options for study were limited, so she started doing some research online to see if there was some way she could get the beauty therapy credentials she required to start work in the area of nail technology. “I chose Open Colleges because to study elsewhere, I would have to find care for my children before and after school, or take morning classes where my travel time would take over my learning time” Kylie explains. She found Open Colleges to be the most convenient way to study, making use of Open Colleges’ customised social platform, OpenSpace. 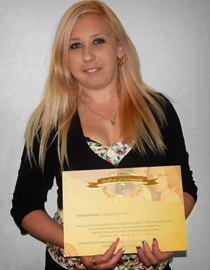 The suburban mum had wanted a career option that combined her love of the beauty industry with the flexibility and hours she was looking for. The Certificate II in Nail Technology was the perfect fit for Kylie. Kylie was able to put her skills into practice at a salon called ‘Melhora’ where she did a work placement with salon owner Melissa Hurrell. She was also successful at gaining a Structured Work Placement. This is where students who are studying a course with a large practical component go to learn extra on-the-job skills. In Kylie’s case, she was able to find a work placement to learn additional tips and tricks. Kylie has said that she really enjoyed her study through Open Colleges, expanding to mention her trainers. 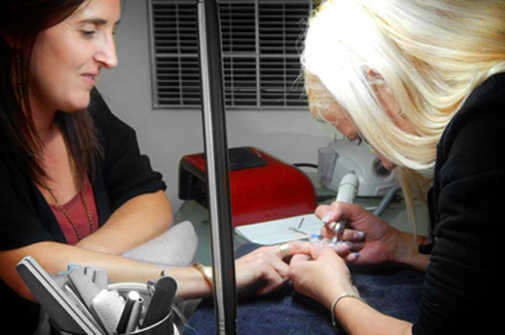 She says, “I now love the whole nail industry even more from all the tips and learning I have picked up on through my placement! My trainers and other members of the team were always there to help me with any questions and concerns I had. They played a huge part in my success!” Open Colleges looks forward to hearing about Kylie’s future success in the beauty industry. Well done Kylie!! I believe, beauty industry is one of the best fields to get into today. Although, I haven’t don’t my course with Opencolleges, most of my friends did and they are pretty happy with their experience!